While Google keeps introducing its new updated algorithms, webmasters and SEO professionals need to adapt their methods in order to optimize their websites. How to find the best keywords for SEO? The rules have stayed the same, despite the updated algorithms. In order to find the best SEO keywords is necessary to perform in-depth keyword research. Keyword research is the process designed to find the best keywords related to a certain website, with the potential to be used by people on search engines with the purpose of looking into actual search terms. Marketing strategy overall or content strategy for a website is based on the knowledge about these actual search terms. Keyword research is among the activities with the highest return in the field of search marketing. This valuable, important activity helps a website ranking for the right keywords. You can learn about phrases and terms to target with SEO by researching your market’s keyword demand. SEO research can also help you better understanding your customers as a whole. Getting visitors to your site is not always the most important aspect. Most often, the most important factor is to get the right kind of visitors. This intelligence’s usefulness cannot be overstated. You can predict shifts in demand with keyword research. 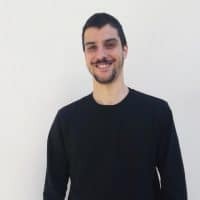 You can also be more flexible in order to adapt to changing market conditions and offer the content, services and products that are actively looked for in web searchers. Keyword research can help you better understand consumers’ motivations in any niche. How to judge keywords’ value? When trying to find the best keywords for SEO you need to base your selection on how much these keywords are worth to your website. For instance, if you own an online TV store, can you make more sales from consumers searching for “Samsung 48-inch TV” or “Panasonic 52-inch TV”? 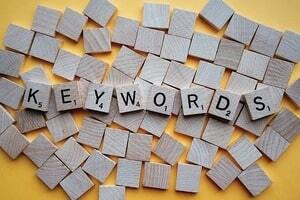 You can find out what keywords visitors type into search engines. There are some keyword research tools designed to help you find this information. However, you cannot directly find out with these tools what is the value of receiving traffic from those searches. You have to first understand your own website in order to understand the value of a keyword. Keyword research implies making and testing some hypotheses. You need to assess if the keyword is relevant to the content of your website. Evaluate if using these keywords allow searchers to can find what they need. Asses if this traffic will also result in meeting some organizational goals such as financial rewards. 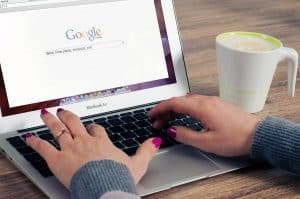 Proceed to search for the keyword or keyword phrase in the major engines if you decide that those terms can help meeting your business’ goals. In order to gain valuable insight into your competition, find out what sites already rank for your keywords. Evaluate how difficult would be to rank for a given keyword. Find out whether there are search advertisements running along the organic results. Eventually, buy a sample campaign at Bing Adcenter or Google AdWords for the keyword you intend to target on your website. Even if your site doesn’t rank yet for the respective term, you can use the test traffic in order to evaluate how well it converts. Choose “exact match” in Google AdWords and point the traffic to your website’s relevant page. Track conversion rate and impression over a course of 200-300 clicks. Determine the exact value of each search term, based on the data you’ve collected. Step 1: Create a list of relevant, important topics on your website, based on your business goals. In order to start this process, decide on what topics you want to rank for. Come up with around 5-10 generic topic buckets that are relevant to your business. You will use them later in the process to help you come up with specific keywords. Step 2: Fill with keywords in those topic buckets. After finding out a few topic buckets to focus on, you can proceed to identify some keywords within those buckets. Because your target customer base is probably searching for these specific terms, these are keywords or keyword phrases that are important to rank for in the search engine results pages. There are keywords research tools that can help you cut down your keywords list. For instance, Jaaxy allows you to select your keywords based on criteria like competition, traffic and much more. Website analytics software like Google Analytics can help you to get more insights into your website’s traffic sources. You can also identify through your organic search traffic bucket those keywords used by visitors to arrive at your site. Step 3: Research related search terms. This is the main creative step of the keyword research process. Jaaxy can help you at this point. Step 4: Check in each bucket for a mix of long-tail keywords and head terms. Head terms are those keywords phrases that are generally more generic and shorter, while long-tail keywords are longer keyword phrases containing usually more than three words. It is important to have a mix of both because this will allow you creating a well-balanced keyword strategy with short-term and long-term goals. Step 5: Analyze how competitors are ranking for your keywords. In case that your competitors are ranking for certain keywords present on your list, you will need to improve your ranking for them too. However, it is also recommended to not ignore those keywords that seem to be ignored by your competitors. Step 6: Use again Jaaxy in order to narrow down your keyword list. The goal of keyword research is to end up with a list of the best keywords for SEO. These are the keywords that can provide you some quick wins but also support your efforts to progress toward more challenging, bigger SEO goals. Your list of keywords will help you gain on short-term and long-term as well, by helping you focus on the right topics for the grow of your business.